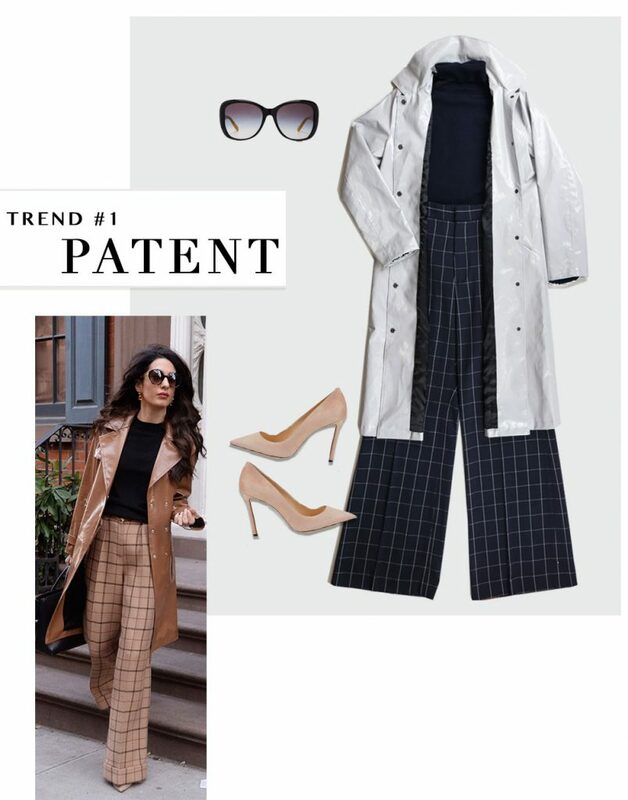 For a chic of-the-moment work look add a patent trench! We’ve gone with a monochromatic pallet version of Amal’s outfit. 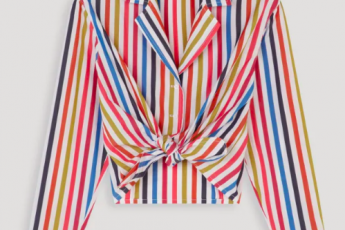 Which, if you’re on the shorter side, will elongate your figure. A high-waisted flared pant elongates your legs and the turtleneck is perfect for the winter chill. Add Amal’s signature pointed toe pump and you’re ready for the day. 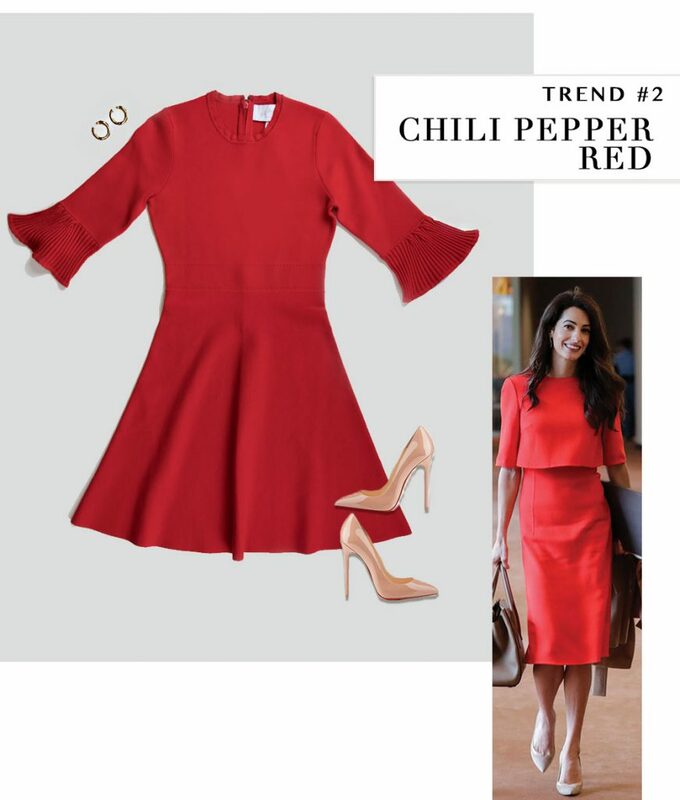 Bright orange is all the rage on the runways this year, but for a wearable version of the trend opt for a chili pepper red instead. Chilli pepper red really pops! Ground this bold color with a neutral heel just like Amal does. With a structured classic silhouette, you’ll stand out for all the right reasons. 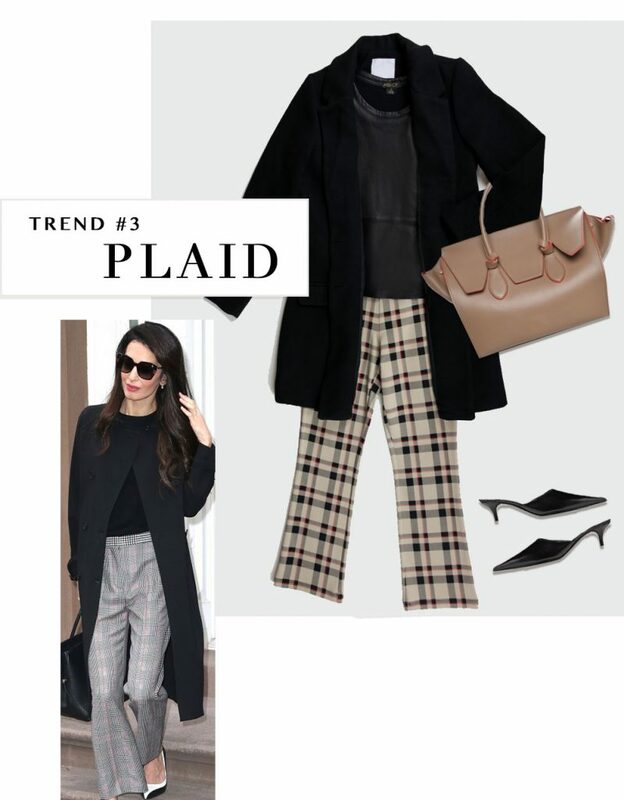 To say that we are ‘mad for plaid’ this season is an understatement. 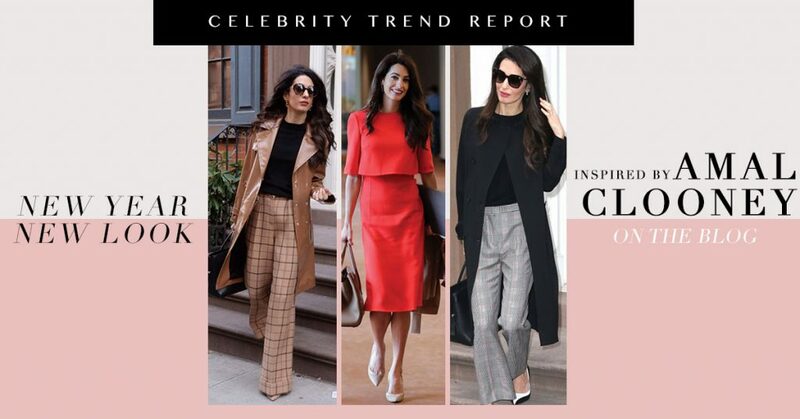 As Amal Clooney knows all too well, plaid adds sophistication to any outfit. 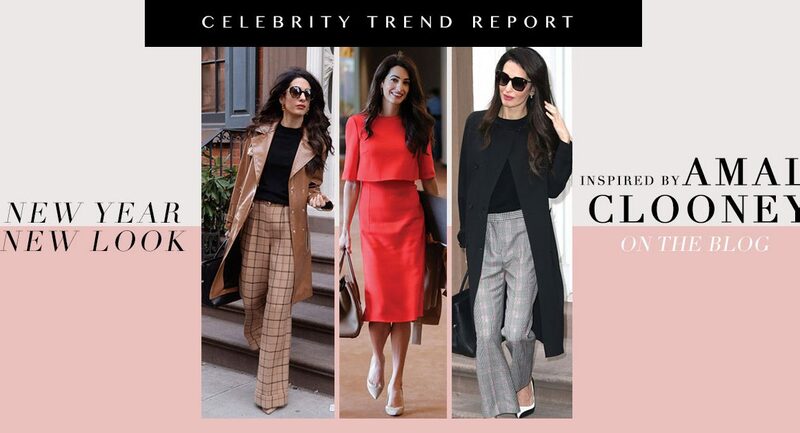 We’ve chosen an ankle length pant and paired it with a mule for a slightly more casual version of Amal’s look. 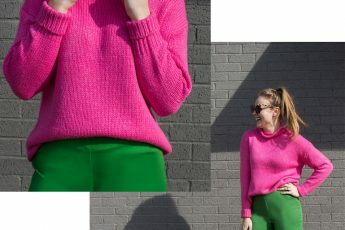 Want to see more trends for 2019? Ask your FDF Stylist about any of these looks in your next box.